Just because it isn't MOTIVATION MONDAY doesn't mean you should slack off this week! Sometimes you just need someone who can whisper-talk a motivational speech right into your gut while drums simultaneously beat INTO YOUR BLOODSTREAM. A buddy of mine shared this video with me and whenever I whine complain he doesn’t even address my problems, he just re-sends the video. His message is clear: step up. 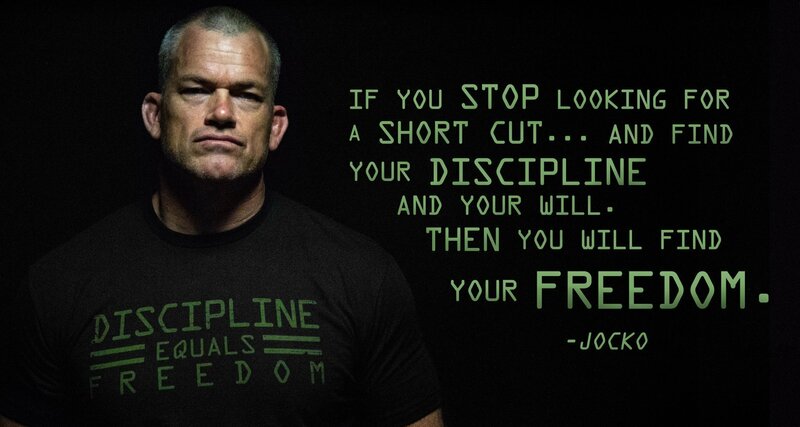 Jocko Willink is a former U.S. Navy SEAL officer who is now a leadership instructor, speaker, and coach. A recipient of the Silver Star and the Bronze Star, he was commander of SEAL Team Three’s Task Unit Bruiser during the Battle of Ramadi and now he shares the lessons he learned from active duty. The Jocko Podcast, where Jocko and Echo Charles “discuss discipline and leadership…extensively,” has over 28 million views on YouTube (and probably 20 million of them are mine playing this video). After retiring from the Navy, Jocko co-founded Echelon Front, a premier leadership consulting company. (Without ever having spoken to him) I’d describe his philosophy as disciplined-based: we can’t control what happens to us, but we are in full control of how we respond. He doesn’t demonstrate patience for excuses; instead, he champions the idea of meeting your objective through strength and hard work. Jock is probably lifting weights with The Rock right now and we’re missing it. Check out the video at the top and let me know what you think. I’m going to the gym, but I’ll be back on Facebook later.